The jjrc H20 is definitely on my list of top mini drones as it’s on the right size to be a great indoors flyer as well as outdoors. 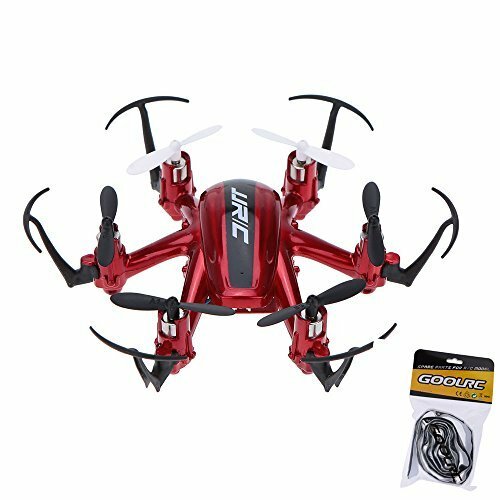 For this price it delivers quite good quality and has the main basic requirements for a beginner drone done well. The battery life isn’t spectacular, but good think sites like banggood have spare ones. A beginner drone should be easy to control yet have multiple speed modes so that when you get used to the slow pace you can get to the next level. Having a sport mode also allows for more speed so that you can face winds better. 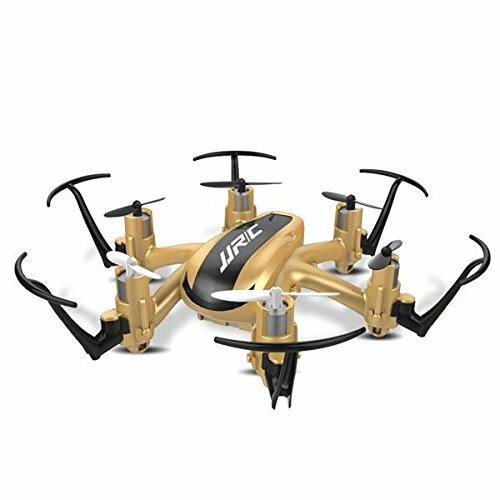 A drone like the JJRC h20 has the durability required for teaching someone who is new and will definitely crash it quite a few times. Usually propguards are a good idea, as it will save your drone from stopping when hitting a wall ad it is less dangerous for skin in case you crash in someone. Beginner drones all have cheap brushed motors (brushless ones are more durable, but bigger and more expensive). This means if you want to keep the drone for a really long time, you should have spare motors, propellers and even batteries (if you want to fly for a longer time in one go). The price for the H20 is what makes it a must buy. A working and functioning drone can’t get much cheaper than this. It may not have any fancy features, but the basics it comes with, it does pretty well. It does come with 6 motors, which makes it one of the only Hexacopters in this price range and size. The price for the JJRC H20 is literally 2 Starbucks coffees. Although the transmitter looks just like on of those very small ones you can find for drones like Cheerson CX10 and stuff it”s definitely a little bigger. This is actually a good thing in my book, as it can be better hold in hand, especially by adults. 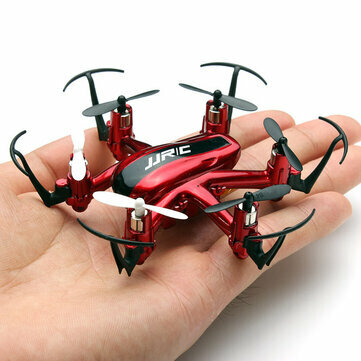 This quadcopter isn’t that small compared to some of the smallest in the world. It has the perfect size for going outside with it too. However keep in mind that you should better learn how to fly this outside and after you carefully read the instructions. The most important thing to know is to just turn the left stick down when you see it flying away from you. This can also get pretty impressive after you start learning how to fly. In sport mode (the third speed mode) it’s super fast and combined with doing flips, this can become quite a monster! Doesn't come with many bells and whistles, it's simply a good beginner drone, so cheap you can afford to crash it.